Many people underestimate the importance of getting a good night's sleep. Getting a full 8 hours of sleep each night can drastically improve your overall health. This means more concentration, better moods, more energy, a better diet, and much more. If you've been struggling to get a good night's sleep, here are some ways to transform your bedroom into a sleep lover's paradise that will have you snoozing away in no time. First, lighting is important. If you've ever been kept awake by a streetlight or car headlights shining in through your window, you may need blackout curtains. Even the smallest amount of light can stop melatonin production and disrupt your sleep. Unlike traditional curtains that let excess light in, blackout curtains are completely opaque so you won't be kept awake. If there are other lights in your bedroom that may be keeping you from getting some shuteye, you may want to consider buying a sleep mask to eliminate the possibility of excess light. This is ideal for traveling, too! One odd problem people have while trying to fall asleep is the lack of noise. Many people prefer to use a fan or some appliance to create a white noise effect, but buying a noise machine may be the solution that fits you best. It has a variety of setting for white noise and brown noise -- brown noise is deeper in tone and sounds like waves or a rushing river. Whatever your preference, maybe falling asleep to the soothing sounds of a noise maker is the right method for you. When it comes to sheets, many people just settle for what's cheapest. While cheap sheets certainly do the trick, buying a higher thread count can vastly improve your overall sleeping experience. They may be a bit pricier, but their durability and comfort make it well worth the money. For extra protection, consider protective pillow cases, waterproof fitted sheets, or a hypoallergenic pillow case. Finally, if you're someone who worries about germs and cleanliness, you may want to invest in a waterproof mattress protector. Not only do they extend the life of your mattress, but it can also protect you from allergic reactions that may be occurring due to allergens deep within the mattress. Buying a waterproof mattress protector will preserve your mattress' comfort and cleanliness. If you're committed to getting a better night's sleep, invest in a waterproof mattress protector to give yourself the peace of mind you deserve. Overall, sleeping issues are certainly common among adults. Even getting an extra hour each night could greatly improve your quality of life. In fact, 82% of Americans consider an extra hour of sleep each night to be extremely valuable. Try some of these techniques to improve your quality and amount of sleep, and if you have any questions or concerns, don't be afraid to discuss it with your doctor. Having a baby in the house can be a joy and a big responsibility, especially if you're a first-time parent. But as any parenting book will tell you, keeping your baby clean is top priority. Babies typically need two to three baths every week in warm water to stay clean and healthy. Despite all that you do to keep your baby clean, it's possible for several common skin conditions to arise. Most of them are nothing to worry about and fairly easy to remedy. If you're worried about your infant's skin, here are some of the most common infant skin conditions and what you can do to avoid them. Intertrigo is a rash that occurs when excessive moisture from drool and other sources collects in an infant's skin creases. You should take special care to gently wash the affected areas and apply petroleum jelly to reduce friction in those areas. In addition, waterproof sheets for babies might be a good investment to avoid excessive moisture in the crib fitted sheet. Also known as "prickly heat," this rash manifests in small, red bumps and is a result of poor heat regulation. If you notice this rash immediately after picking your child up from their crib, you may want to invest in a more breathable material like linen or cotton for your baby crib sheets. Eczema affects up to 20% of babies and can be found just about anywhere on the body. Itchy materials and scented soaps may cause this rash to flare up. If you're looking for crib fitted sheets, make sure you stay away from wool, as it can irritate this condition further. Dry skin is quite common in infants, especially in extreme weather conditions. The best thing you can do in this case is to keep your baby's room humidified and moisturize the affected areas with hypoallergenic lotion. In addition, it's smart to get fitted crib sheets with a high thread count to avoid further irritating the dry skin. Now that you know how to identify and avoid these common infant skin conditions, you should be ready to keep your baby's skin happy and healthy. 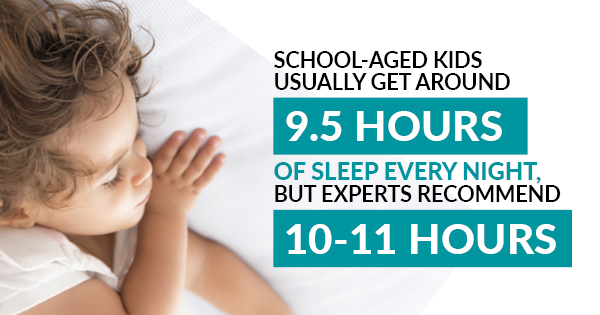 School-aged kids usually get around 9.5 hours of sleep every night, but experts recommend 10-11 hours. While it might seem impossible to get your child to sleep for more than 9 hours at a time, there may be some things you're overlooking. One of the most important things to consider, especially for babies and toddlers, is the material that sheets are made from. 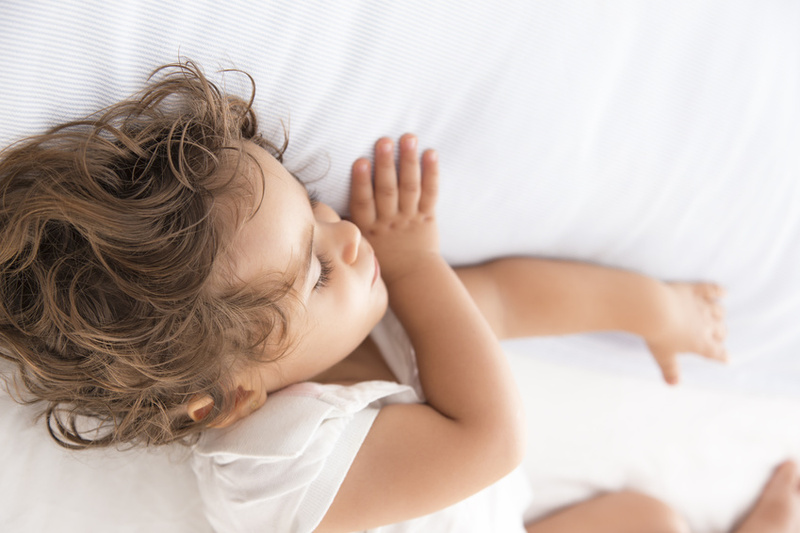 Whether you're a first-time parent or on your second or third go-around, there are some essential tips you need to consider when buying kids fitted sheets and pillowcases. Here are some of the best bed sheet fabrics to choose from when looking for baby and children's sheets. Cotton is a soft, breathable fabric that will help regulate your baby's temperature in any kind of weather. Temperature is one of the most important things that can aid or inhibit sleep, so regulation is important. In addition, natural cotton is free of synthetics and chemicals, which means it's one of the safest materials to choose for baby crib sheets. But the best trait that cotton has is its affordability and availability. No matter where you go, cotton bedding is bound to be there. Polyester is similar to cotton in that it's affordable and readily available, but there are other factors you need to consider as well. Polyester is one of the most durable materials you can choose, and it won't shrink up like cotton sheets tend to do. The biggest con of these sheets is they're not as breathable as cotton, which makes them a poor choice for warmer months. If you're looking for a way to prevent stains and messy cleanups, waterproof sheets for babies are the way to go. Waterproof sheets for babies make for easy cleaning and are especially attractive for parents currently going through the potty-training process. Bed wetting is nothing for your child to be ashamed of, but waterproof sheets will make cleaning those accidents much easier. No matter which of these materials you choose, you're certain to make a great purchase that will last for years. Being a new parent is an exciting -- and exhausting -- adventure. Even though most newborns will sleep anywhere from 10.5 to 18 hours a day, those hours may be short and erratic, leaving you with little time to get things done around the house, much less find the time to get some quality rest of your own. 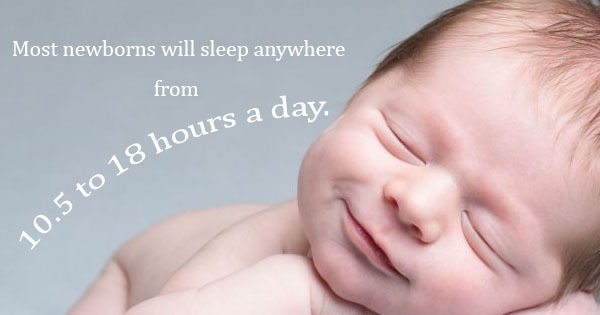 But getting enough sleep is still just as crucial for you as a parent as it is for your child. Here are some tips and suggestions to help make sure that you find the rest you need while caring for your newborn. Take shifts with your partner. If you are able to share baby duties with a partner, try assigning shifts. You might trade duty every other night, or switch to be on-call for feedings and diaper changes halfway through the night. That way, everybody gets at least a few hours of uninterrupted sleep. Double up on waterproof fitted sheets. A leaky diaper that soaks through your baby crib sheet could leave you with another unpleasant chore to tackle in the middle of the night. Use two waterproof fitted sheets or fitted crib sheet protectors, one placed right over the other, so that if a nighttime incident does occur, you can simply strip off one layer and have a clean sheet ready to go underneath. Then, get back to bed! Take sleep whenever you can get it. One common piece of advice for new parents is to sleep whenever the baby sleeps, no matter the time of day. Leave the household chores for later and rest when you can. Additionally, if friends or family members are eager to visit, don't be afraid to ask them to simply take duty for an hour or two while you go off to nap. Most people are very understanding about just how exhausting those first few months can be. Taking care of your new baby doesn't need to come at the expense of taking care of yourself. Follow these tips to make sure that you get the rest you need in order to be the best parent you can!